Mia Tui was founded in 2010 by Charlotte, a mother of two who was living in Vietnam at that time. Charlotte set out to design a travel bag that could be (in her own words) the busy woman’s best friend and thus was born Mia Tui - a range of bags that is stylish yet completely practical. And the best part is they do not use any animal based products making the range suitable for vegans. The fabric used in making the bags is soft and supple and looks like leather but is entirely a man-made fabric. Mia Tui bags come in a range of sizes and colours. I have been using the Mini Jen on my recent travels and it has proved to be an excellent travel bag - well-structured, spacious and organised, holding all my travel essentials comfortably. 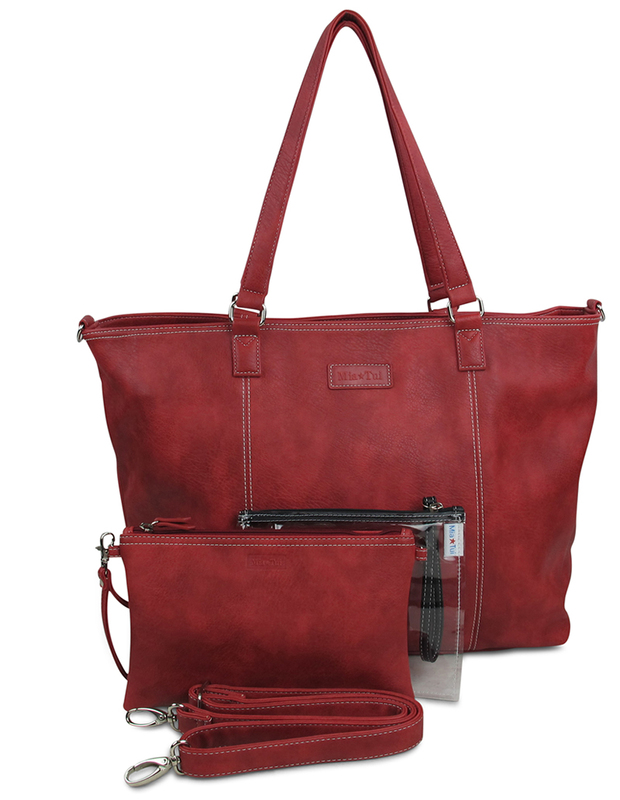 Mini Jen is made in ultra soft faux-leather, with a bright, waterproof interior. The travel bag is available in a range of colours - Black, Scarlet (featured), Graphite, Matt Silver, Rose Gold, Cornflower, Bronze, Navy, Dove Grey, Stone, and Aubergine. Want to win the Mini Jen? Thanks to Mia Tui we’ve got one of these awesome travel bags to give away. The winner will be able to pick a Mini Jen in their choice of colour (dependant on the stock available at that time). The competition is open worldwide and is really easy to enter – see the Gleam box below. Good luck! This looks like a lovely and practical bag for traveling. I also like the colour, black scarlet, but wouldn't mind the cornflower either. I may just enter and take my chances to win! A very practical and stylish bag; it would be a good addition to your travel gear collection, Lisa. It's so important to have a bag you like when you're traveling! I've been using a tote bag, since it rolls up and fits in my daypack, but sometimes it can be annoying to dig around for things if it's too full. This looks much more professional, it'd be easy to use this when attending meetings while you're traveling. This is a great travel tote. I like that it comes with an Insulated water bottle holder. That sounds super convenient especially if you have been traveling for hours! Yes, the insulated water bottle holder is an excellent idea as is the 'pass-through pocket' on the back of the bag that slips over the handles of your suitcase making the travel bag fit comfortably on top of your suitcase. Is it large enough to hold a laptop? The Mini Jen has a compartment big enough for an iPad, Kindle and most tablets. The dimension of the bag are W35cm, D14cm, H29cm (width is taken from the base of the bag); this might give an idea if your laptop will fit in it.